I was in a Charlotte Russe fitting room last month when I first realized my curves were starting to come back. Pretending like I have a Kim Kardashian booty. It was such a rewarding moment because just 7 short months ago, I remember curling up in a ball and crying in a Victoria Secret fitting room. My jeans were so tight…they barely buttoned. They were a size 16. My stomach looked like a cellulite mosh-pit. I could hardly look at myself…. I sat on the bench and wrapped my legs up to my chest and cried. The silent cry. The one that makes you look really ugly and your mouth is slightly open because you are hoping no one will hear you weeping. Kind of like this…. “Everything OK in there?” the sales woman asked me. “NOOOOO EVERYTHING IS NOT OKAY! 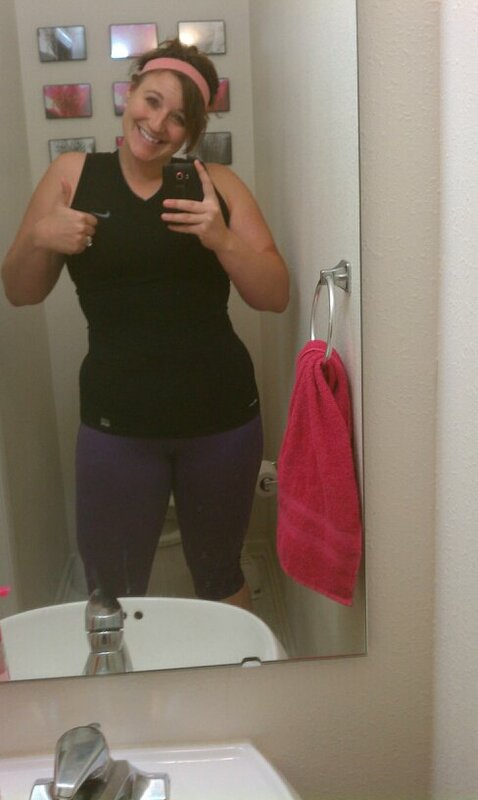 I AM A WHALE AND NONE OF YOU BRAS FIT ME! LET ME KNOW WHEN YOU GET THE FAT KID BRAS IN. But thank you for asking!” No, I didn’t say that. But that’s how I felt…and that’s what I said in my head before responding. I wipped my eyes and did what I do best…put on a happy face and pretended everything was fine. “I’m good, thanks!” I said faintly. And let’s be real…when am I ever faint or quiet? I was a mess that day. But it was a life changing moment for me. It was one of those moments where your life stops and you focus in on where you are…and where you want to be…and how you can get there. To be honest, that moment is the defining moment for my weight loss journey. As I looked in the mirror, I told myself it was time to take action. I wasn’t going to live in this body anymore. I never wanted to see 238 on the scale ever again. Rocking my running clothes proudly tonight. 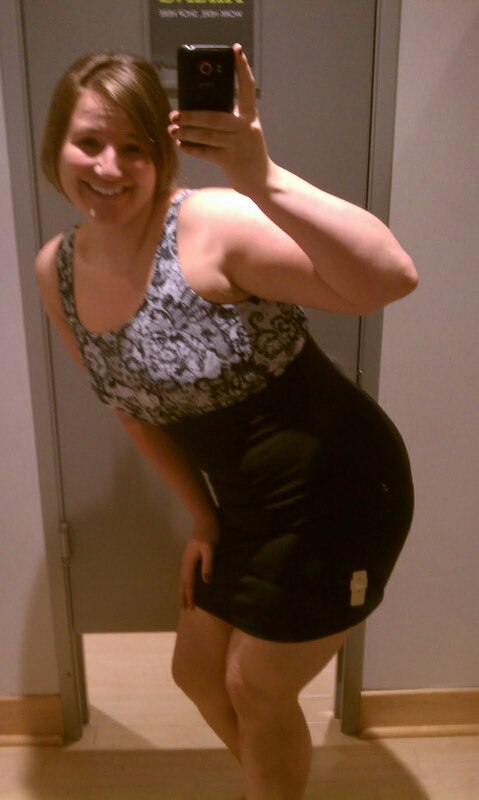 And my curves are coming back…..no more crying in the fitting room. Ashley, you're fantastic! I'm so proud of you and I high five you on your motivation and positive attitude! Awww, Stephanie thank you so much!! That means so much to me! I'm returning the high five! :)Even better…why don't we high five in person soon!? 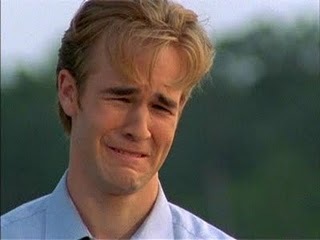 You know, there aren't many things I love more than Dawson crying. I definitely love you more than that!